Martin gives a personal history of his time at the two CERN hack projects …and also provides a short history of the universe. This history of the World Wide Web from 1996 is interesting for the way it culminates with …Java. At that time, the language seemed like it would become the programmatic lingua franca for the web. Brendan Eich sure upset that apple cart. This is the lovely little film about our WorldWideWeb hack project. It was shown yesterday at CERN during the Web@30 celebrations. That was quite a special moment. Remy’s keeping a list of hyperlinks to stories covering our recent hack week at CERN. Here’s the source code for the WorldWideWeb project we did at CERN. I linked to this a while back but now this great half hour documentary by Jessica Yu is ready and you can watch the whole thing online: Tim Berners-Lee, the birth of the web, and where the web has gone since. The US Mission to the UN in Geneva came by to visit us during our hackweek at CERN. Here’s the CERN write-up of our week of hacking to produce the recreation of the WorldWideWeb browser. 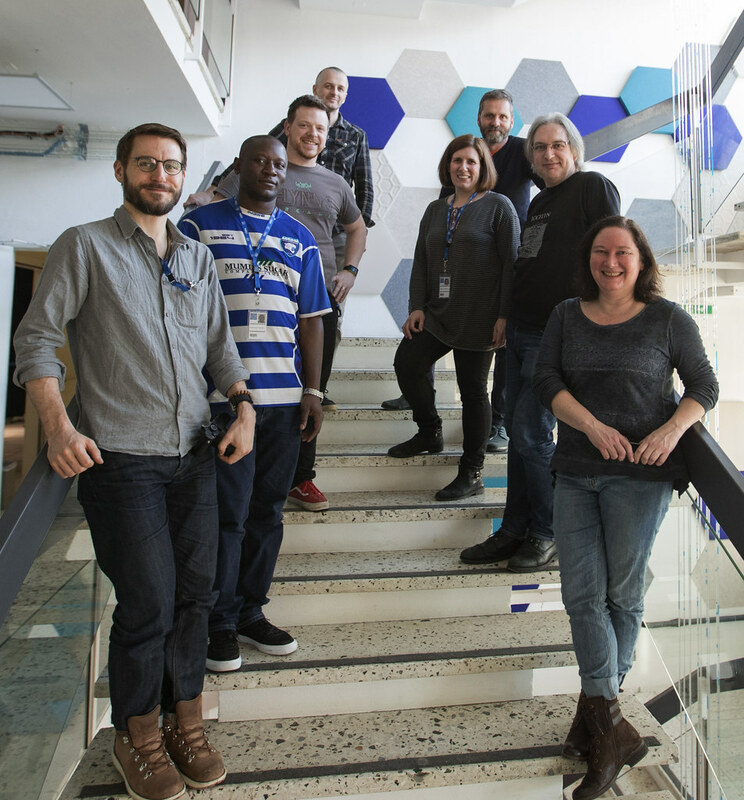 In a small room in CERN’s Data Center, an international group of nine developers is taking a plunge back in time to the beginnings of the World Wide Web. Their aim is to enable the whole world to experience what the web looked like viewed within the very first browser developed by Tim Berners-Lee. The world-wide-web always scared the hell out of those who want to control what people consume and what their career is. The web was the equaliser. A heartfelt missive by Christian on the eve of the US potentially losing net neutrality. I agree with every single word he’s written. I hope that people still care that the web flows, no matter for whom or what the stream carries. The web did me a lot of good, and it can do so for many others. But it can’t do that if it turns into Cable TV. I’ve always seen the web as my media to control. To pick what I want to consume and question it by comparing it. A channel for me to publish and be scrutinised by others. A read-write medium. The only one we have. Let’s do more of the write part. So do you really know which are the top browsers, both amongst your existing customers and your potential audience? Perhaps it’s worth taking a closer look; it might just be time to check your site in some of the lesser-known, yet popular browsers like UC, Yandex and Samsung Internet. There’s something very endearing about this docudrama retelling of the story of the web. Bruce widens our horizons with this in-depth look at where and how people are accessing the web around the world. In this article, we’ve explored where the next 4 billion connected people will come from, as well as some of the innovations that the standards community has made to better serve them. In the next part, we’ll look at some of the demand-side problems that prevent people from accessing the web easily and what can be done to overcome them. This is absolutely fascinating—listen live to radio stations all over the world by rotating our planet in your browser. There’s something really addictive about eavesdropping on the world’s airwaves like this.